Brussels, the capital of Belgium, is now one of the most interesting destinations in Europe. People from all over the world visit this fascinating city in order to get in touch with Belgium’s history, art, and culture. In addition, Brussels is one of the cities favoured by foodies who are eager to indulge in its famous delights, such as the waffles, chocolate, fries, as well as its famous beer. Besides the interesting things to see and do in Belgium’s capital, there is also a lot to explore within a day trip from Brussels. So here are 15-day trips that will conquer even the most sceptical traveller. 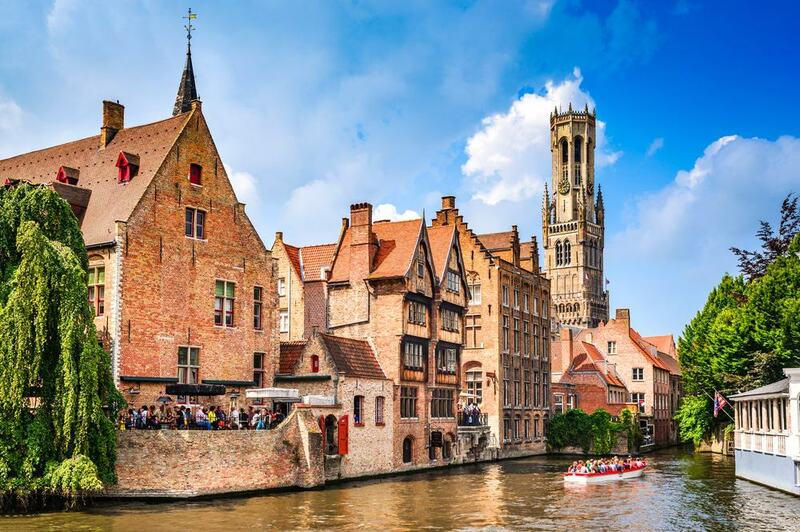 Located 100 kilometres northwest of Brussels and only 15 kilometres from the North Sea, Bruges, also known as the “Venice of the North”, is a great choice for a day trip from Brussels. 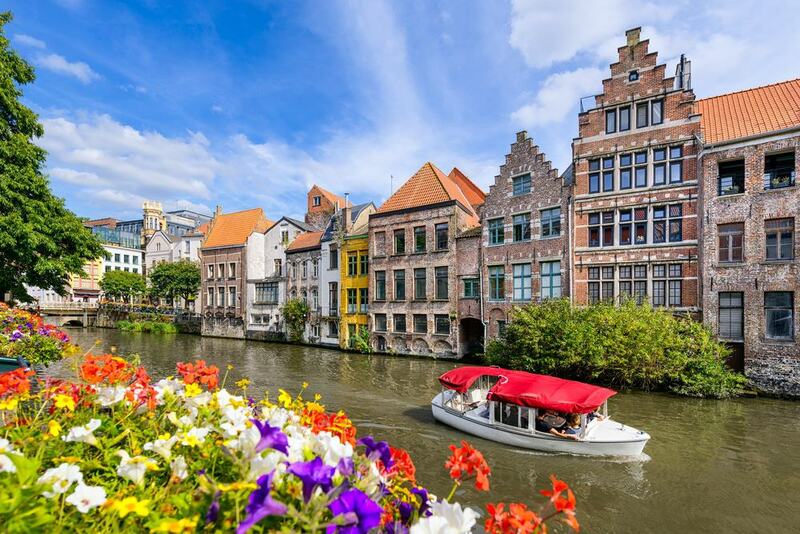 Great history, beautiful architecture, and the chance to indulge in some of the best chocolate in Belgium are some of the many things this charming medieval city offers its visitors. Wander around the beautifully arranged streets and catch a glimpse of the fascinating architecture. Admire the Belfry of Bruges, a medieval bell tower in the centre of the city and one if its symbols, see the famous Hospital of St. John, and the Saint-Salvator Cathedral. Get in touch with history at the Historium Bruges, a unique museum with audio guides, and explore the beautiful Flemish art at The Groeningemuseum. Known for being one of Belgium’s medieval treasures, Ghent is also a cultural city defined by music, theatre, film and visual arts. 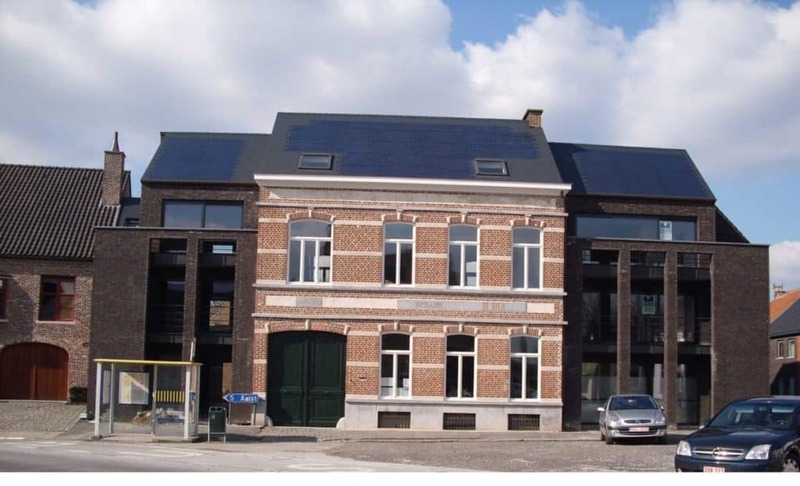 It is located only 60 kilometres far from Brussels and can be easily reached by car or by train. One of the best things to do in this charming medieval city is to explore it by foot, in order to catch a glimpse of its incredible medieval architecture, as well as to feel its vibrant atmosphere. Praise “The Adoration of the Mystic Lamb” by the Van Eyck brothers located inside the Saint-Bavo’s Cathedral. Visit the Belfry of Ghent, the Town Hall, and get closer to Ghent’s trading history at the Old Fish Market. There are 200 kilometres between Brussels and Amsterdam, so the beautiful Dutch capital is a good choice for an unforgettable day trip. Not only does it offer an incredible scenic beauty thanks to its canals and waterfront views, but Amsterdam is also an oasis of history, culture, and art. Get in touch with the past at Anne Frank House, learn about art at the Rijksmuseum, Van Gogh and Rembrandt House museums, and enjoy the famous Heineken Experience. 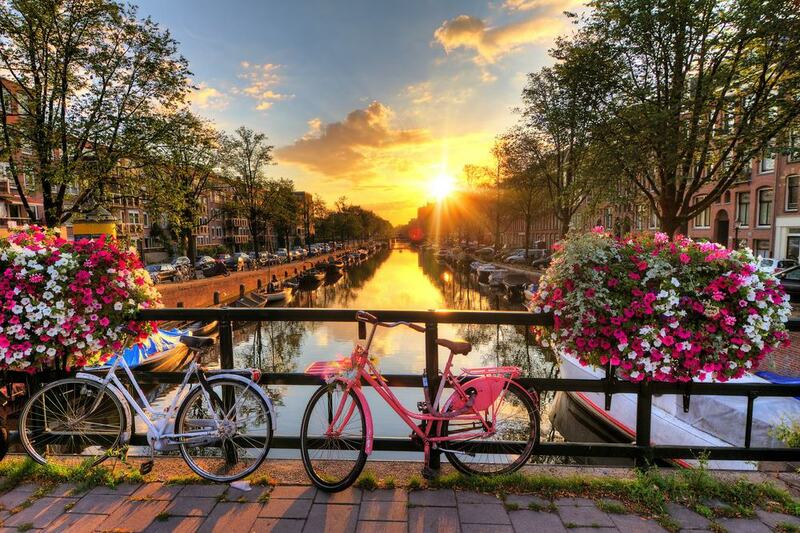 Adventurous travellers can rent a bike and explore the streets, historic landmarks, and main pubs of Amsterdam. In the meantime, romantics can have a unique Amsterdam experience while enjoying a relaxing boat ride. Luxemburg is a fantastic day trip from Brussels especially for travellers who are fond of beautiful rural sceneries. After two hours and a half you get to the capital of the Grand Duchy and begin your tour with exploring the Kirchberg quarter and its many important buildings such as the European Court of Justice, and the European Commission. 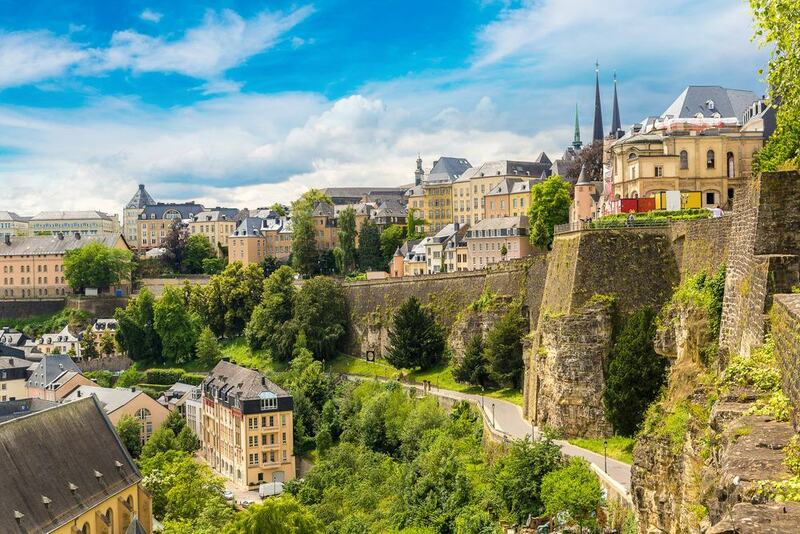 Luxembourg is also a great destination for architecture enthusiasts who have the chance to marvel at the Notre-Dame Cathedral, a landmark that perfectly combines the late Gothic architecture with Renaissance adornments. Continue with wandering around the charming streets, and don’t miss catching a glimpse of the Palace of the Grand Duke and the city’s fortifications. Antwerp is a delightful port city on Belgium’s Scheldt River. With a Middle Age-history, fascinating art and architecture, Antwerp is an old, but cool place to visit. 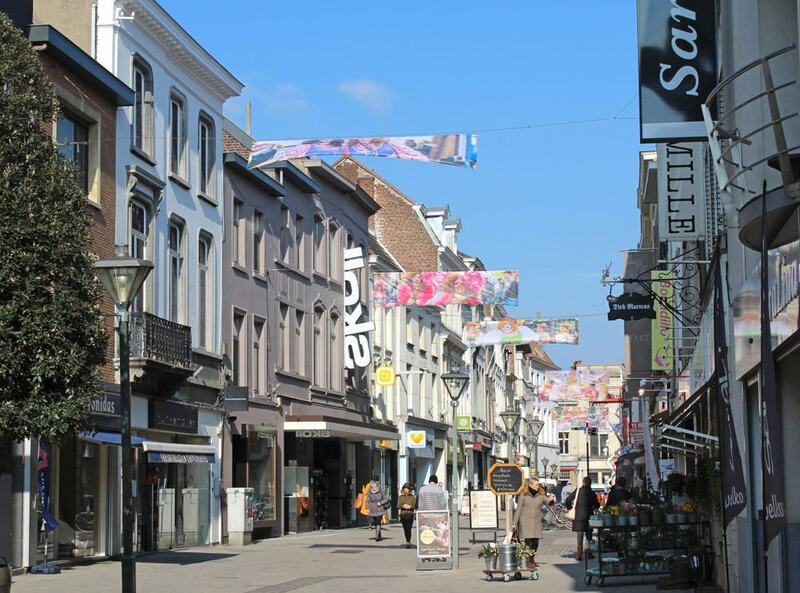 Located only 55 kilometres far from Belgium’s capital, the city makes a perfect destination for a day trip. Visit the largest Gothic church in the Low Countries and see two of the most beautiful masterpieces of the baroque painter Paul Peter Rubens. See the Central Train Station, explore the diamond district, and don’t miss getting closer to the locals in the marketplace. History aficionados who visit Brussels and want to remember some of the bloodiest battles of the WWI must visit Ypres. There are only 123 kilometres between Belgium’s capital and this interesting place and the road is filled with breathtaking views. 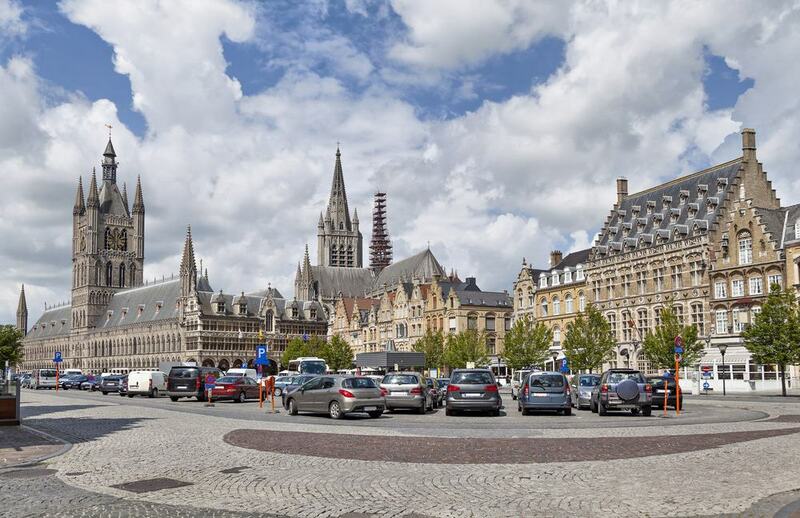 The charming town is surrounded by the Ypres Salient battlefields, giving visitors the chance to go back in time while visiting the war museums, memorials, as well as cemeteries and discovering the horrors of war, its heroes, and villains. Langemark- the German cemetery, the Menin Gate Memorial, and Saint George’s Chapel are some of the most important landmarks of this area. 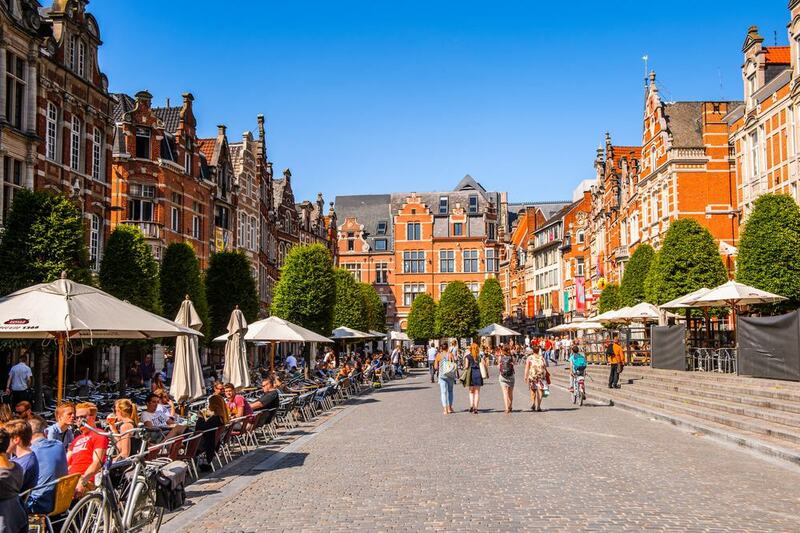 Located to the east of Brussels, and known for its youthful atmosphere during the month of September and for its breweries, Leuven is another amazing choice for travellers who want to enjoy a day trip from Belgium’s capital. 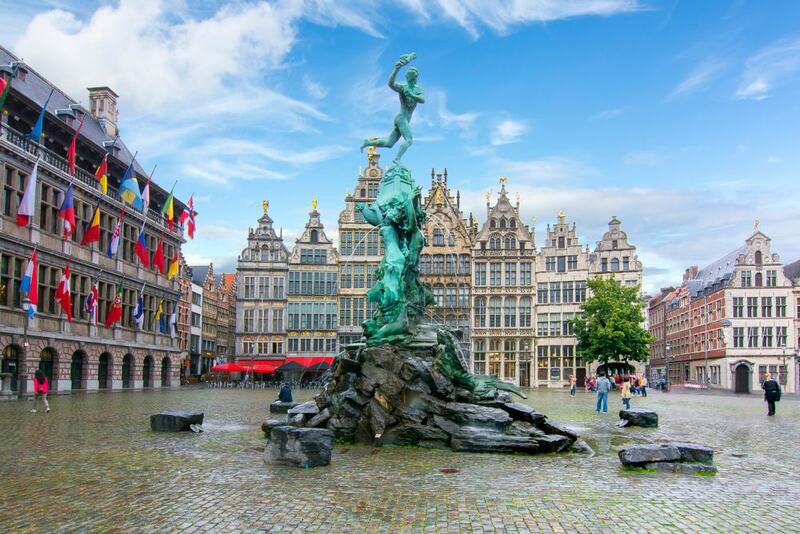 Visit the Grote Markt or ‘Plaza Mayor,’ admire the imposing St.
Peter’s Church, and the well-known Town Hall, a great monument of ‘Gotico brabantino’. In addition, makes sure you don’t miss seeing the “longest bar in the world” in the Oude Mark. Hasselt can be reached in an hour by car and it is a great place for visitors who want to spend a day surrounded by peaceful exotic landscapes. Wander around the impressive 17th-century Japanese tea garden and let the paths, waterfalls, and cherry trees inspire and relax you. Get in touch with history at the Bokrijk, an interesting park and museum complex and have some fun at Plopsa Indoor Hasselt, an amazing theme park with Indoor rides and attractions, as well as a great outdoor zone. 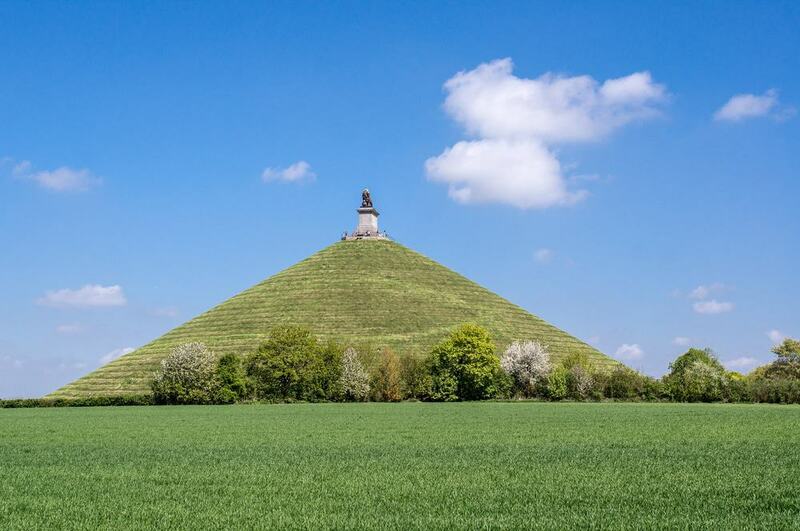 History enthusiasts who want to satisfy their thirst should spend a day visiting the famous Waterloo Battlefield, located just 30 kilometres from Brussels. The most important attraction at the battlefield is the Butte du Lion, translated as Lion Mound. Don’t leave without checking out the Memorial 1815, a compelling underground centre illustrating the battle’s historic significance. Furthermore, for those who are passionate about the past and want to enlarge their knowledge, visiting the Musée Wellington, in the town of Waterloo is also a great option. Tournai is an adorable Belgian city with a unique history, including a short period of time when it was under British rule. The main landmark of the city is its magnificent cathedral, as well as its surrounding area which is a fantastic example of 12th and 13th-century architecture. Make your way to the belfry in order to admire the whole city centre below. 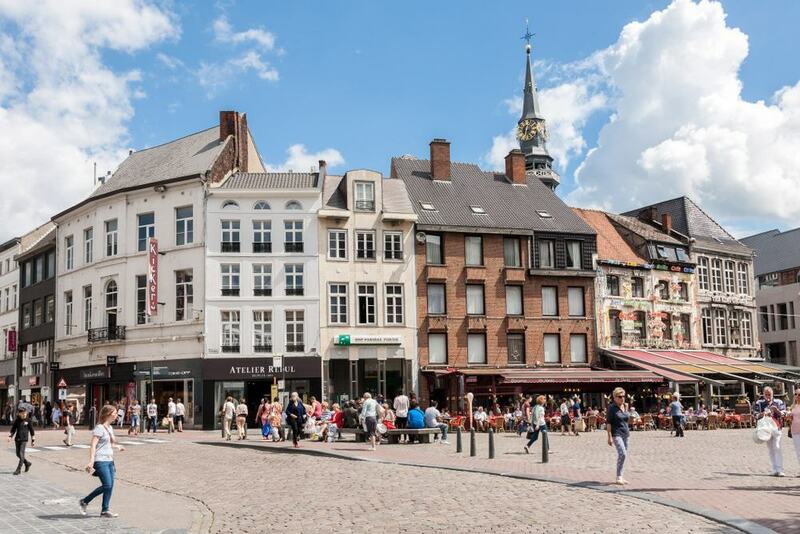 Then, wander around the beautifully arranged streets of Tournai and stop at The Museum of Fine Arts, where amazing pieces of art can be cherished. There are only 30 kilometres between Brussels and Aalst and the road is filled with unique sights. The city has a rich history and great landmarks that could satisfy history and art enthusiasts from all over the world. Visit Aldermen’s House, a UNESCO World Heritage Site, catch a glimpse at the 15th-century belfry next to the town hall, and admire the Gothic style “unfinished” St. Martin’s Collegiate Church. Enjoy a long walk around the city and stop at the statue of Dirk Martens, the first printer in the Netherlands. In addition, taste your way around Aalst and explore the old breweries that produce their own hops. 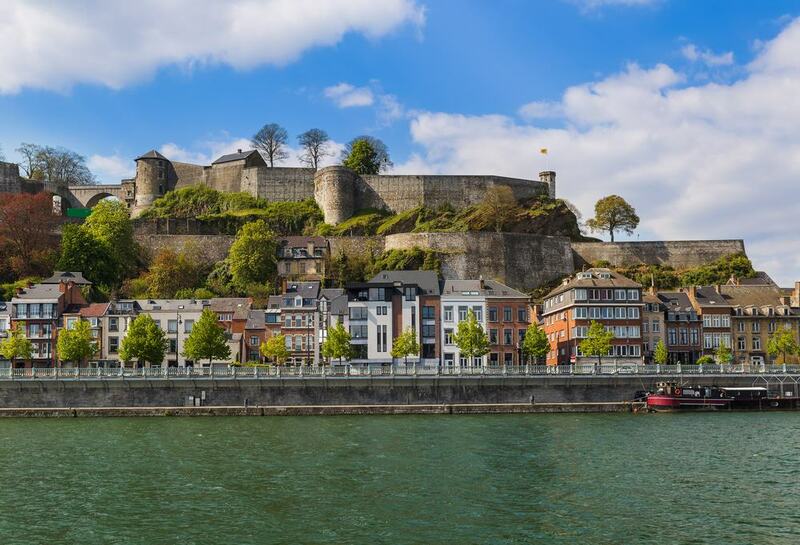 Though modest in size, Namur is an intriguing town located in a lovely area between two rivers and surrounded by castles. It can be reached in just an hour from Brussels and it gives visitors the chance to relax and get in touch with the great history of the area. 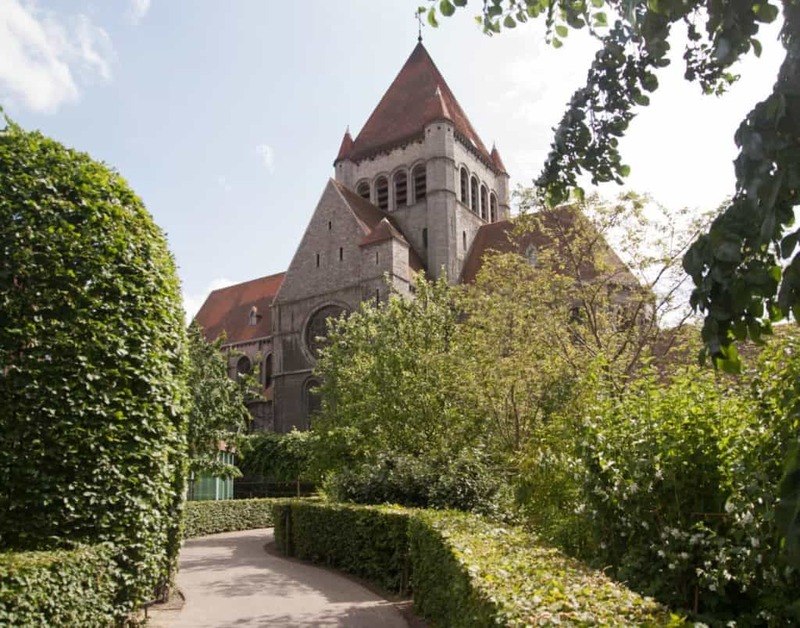 Walk around the graceful alleys, then stop and admire the most important landmarks such as the Saint Aubain Cathedral and the Felicien Rops Museum. In addition, if the weather is fine, enjoy a short Namourette boat ride. Travellers who want to get closer to the traditions of Belgium must visit Moorsel, an inviting village in the province East Flanders, dating back from the early Middle Ages. Visit the 14th century Saint Gudula chapel and the Renaissance castle. Even if this might sound impossible, the castle is still preserved in its original condition. Then, unwind and enjoy the quiet beauty of an old Flemish village before going back to the busy city of Brussels. 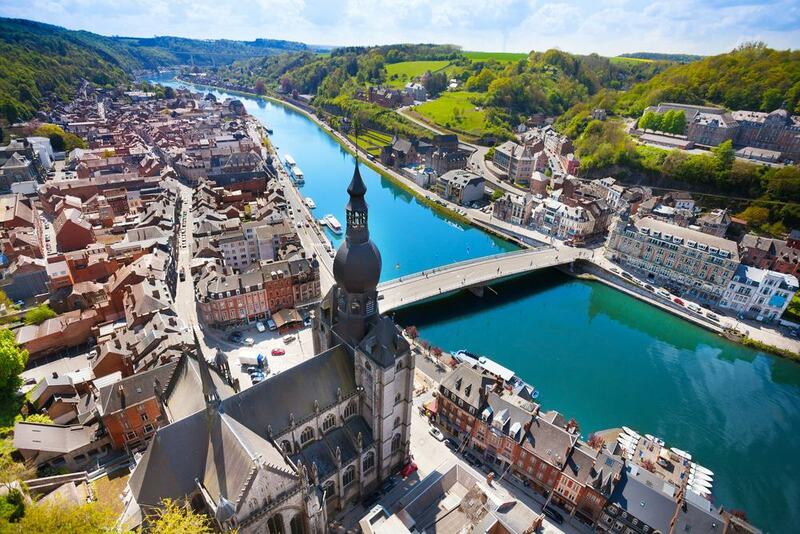 Situated in Belgium’s Walloon Region, only 105 kilometres from Brussels, Dinant welcomes all people who want to have a relaxing day filled with culture and breathtaking landscapes. Wander around the picturesque village of Dinant, exploring its fifteenth century collegial, the citadel, as well as the tiny, but very interesting saxophone museum. In addition, beer enthusiasts must visit Maison Leffe, an inviting beer museum. Last but not least, stop at the famous Brasserie Caracole and indulge in the goodies served there. 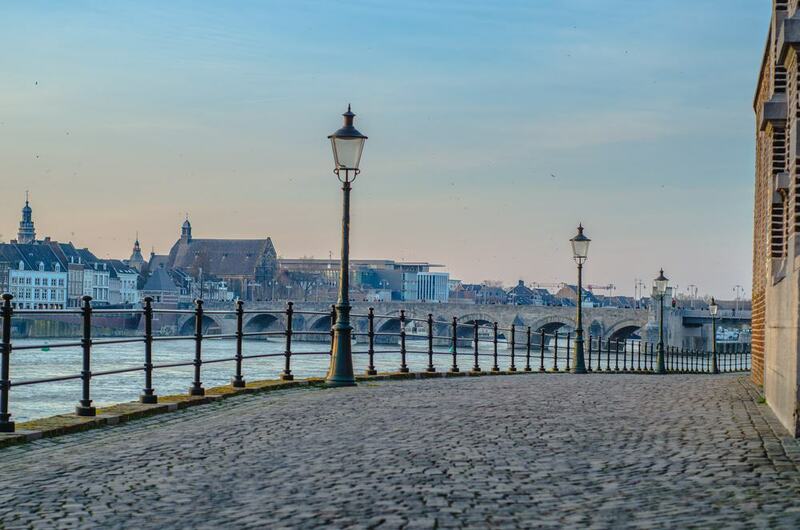 Famous for its medieval-era architecture and vibrant cultural scene, Maastricht is a perfect destination for a day trip from Brussels, especially if you want to visit two countries in one day. Visit the Romanesque Basilica of St.
Servatius and the Gothic-style church Sint Janskerk, explore the amazing cobbled old town, and get in touch with history at the tiny, but interesting Maastricht Natural History Museum. Take your time admiring the lovely streets and interesting architecture, then stop for a drink at one of the inviting terraces.